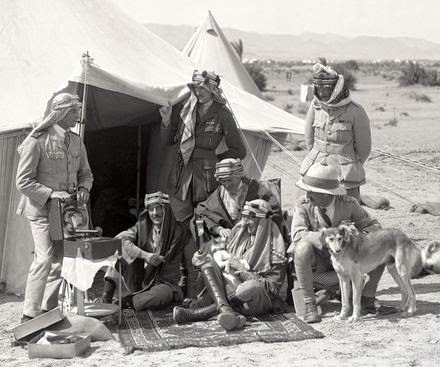 Colonel Stewart Francis Newcombe was already a legend in the deserts of Arabia before he was joined in Cairo during the early months of the First World War by a group of extraordinary specialists in Middle Eastern affairs. One member of this group was T.E. Lawrence who went on to achieve worldwide fame. 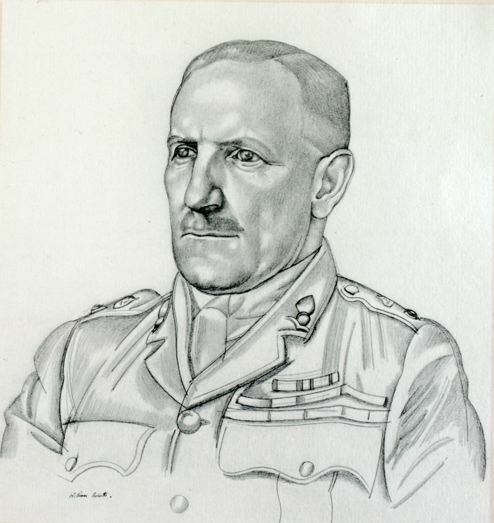 Colonel Newcombe's story, like those of other unsung figures in the Anglo-Arabian panoply, has been eclipsed by the legend of ´Lawrence of Arabia´, and has languished in the dusty recesses of regimental records, government files or in the elliptical words of Lawrence’s book Seven Pillars of Wisdom. However, S.F. Newcombe´s untold story is there to be told. IN THE SHADOW OF THE CRESCENT is a story of extraordinary exploits and courage, coupled with Newcombe's own legendary and inexhaustible supply of energy and of remarkable adventures under the very noses of the Ottoman authorities – full of danger, intrigue and perhaps more surprisingly, of romance during Newcombe's captivity in Turkey. Results just in! 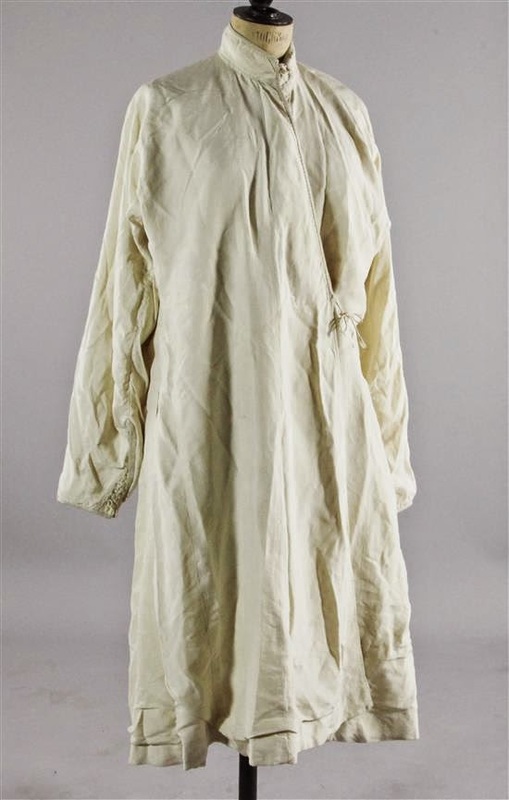 The cream silk desert robe belonging to T.E. Lawrence has sold for £3000 plus auction fees. The second Lawrence item was a serab runner, NW Persia 1890, an ivory field with four gul and flowerhead filled medallions, 154 x 32.5in. This lot was sold with a letter of provenance from the vendor whose parents were close friends of T.E. Lawrence and the Lawrence family and two photographs showing the interior of a Middle eastern room bedecked with carpets. 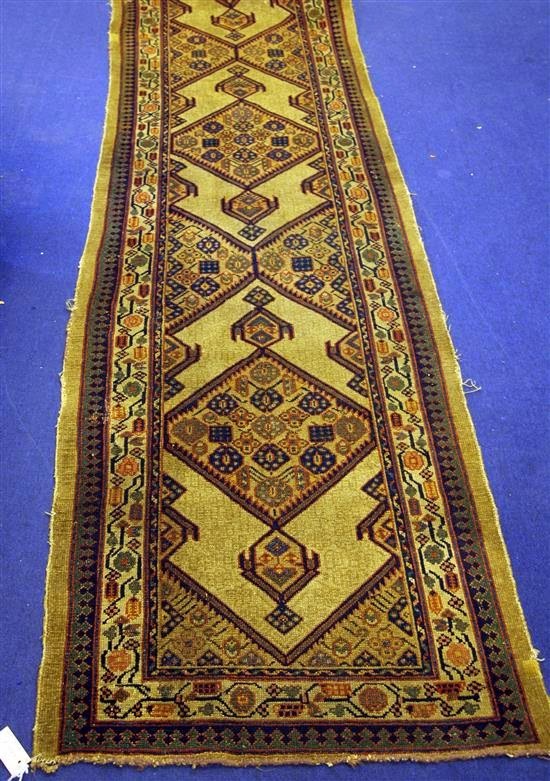 The carpet was given by T.E. Lawrence to the vendor's father as a wedding present around 1914, and the event is mentioned p.198, The Home Letters of T.E.Lawrence, Blackwell, 1954. This has sold for £1700 plus auction fees. This morning the following lot will be auctioned at Gorringes Auction Sale in Lewes, East Sussex, England. It seems a low estimate but perhaps it has been set to provoke some interest. The same robe, along with a carpet that Lawrence brought back from Aleppo in about 1914 for a wedding gift for a family friend and which is also included in this sale, was first presented at Sotheby's Fashion auction in 1999. At that time it was set at £8,000-12,000. This lot is sold with a note of provenance from the vendor whose parents were close friends of T.E. 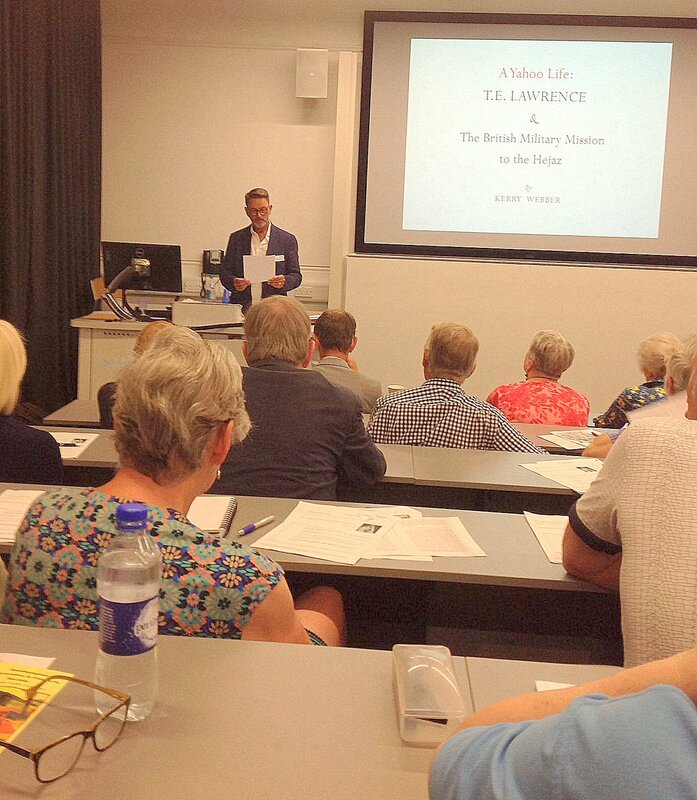 Lawrence and the Lawrence family, and a collection of letters from T.E. Lawrence's brother to Mrs Hutchins. is a British writer, photographer and designer who has spent many years travelling and working in the Middle East. His work has appeared in publications throughout the region and as a Creative Director he helped transform a small media company in Dubai into the leading publisher of magazines and books in the Gulf. In the 70’s he travelled extensively throughout Israel, Palestine, and the Arab countries of the Mediterranean. 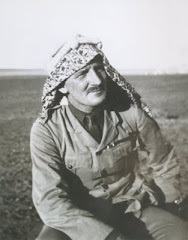 Always drawn to the history and traditions of the region, he became interested in the Arab Revolt and the Palestine Campaigns of the First World War which inevitably brought him into contact with the legend of Lawrence of Arabia. Intrigued by Lawrence’s claim that fellow officers could “each tell a like tale” he began to explore those peripheral figures and started research on the life of Stewart Newcombe eventually publishing articles and giving lectures on his findings. Newcombe used a Colt New Service .455 Revolver when out in the Hejaz Desert during the Arab Revolt. Click the image to go to my article on the use of Colt firearms by the British Army in WW1. Colonel Stewart Francis Newcombe of the Royal Engineers was already a legend in the deserts of Arabia before he was joined in Cairo during the early months of the First World War by a group of extraordinary specialists in Middle Eastern affairs. One member of this group was T.E. Lawrence who went on to achieve worldwide fame. 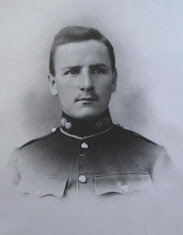 Newcombe's story, like those of other unsung figures in the Anglo-Arabian panoply, has been eclipsed by the legend of ´Lawrence of Arabia´, and has languished in the dusty recesses of regimental records, government files or in the elliptical words of Lawrence’s book Seven Pillars of Wisdom. However, Newcombe´s untold story is there to be told. It is a story of extraordinary exploits and courage, coupled with his own legendary and inexhaustible supply of energy. Lawrence was later to describe him in Seven Pillars: 'Newcombe is like fire,' they (the Arabs) used to complain; ‘he burns friend and enemy’. It is as a loyal friend to Lawrence – a loyalty that remained steadfast to the end – that Newcombe is best remembered. But his own story is one of remarkable adventures under the very noses of the Ottoman authorities – full of danger, intrigue and perhaps more surprisingly, of romance during Newcombe's captivity in Turkey. His post-war work for the Boundary Commission in Palestine and his efforts at securing a lasting peace for his friends in the region have gone largely unrecorded or mis-represented. The aim of this biography is to set that record straight and to help restore Newcombe to his rightful place - recognised among those who played an important part in the Great War during the Palestine campaigns and as someone who made a significant contribution to the peace negotiations with Turkey while under cover in Constantinople. Later, his post-war work helped shape the history and politics of the modern Middle East through his work with the Boundary Commission and his life-long friendship with many of the key personalities within the Arab and Jewish communities. Above all, he should be remembered as someone who contributed to the legends of Arabian exploration through exhaustive survey work in Sinai and Palestine, mapping the past as well as the future. IN THE SHADOW OF THE CRESCENT will be published shortly. British Pathé - Wonderful website where you can view and buy films and still photographs from the entire archive of 90,000 videos covering newsreel and social history documentaries. Includes footage of Newcombe at T.E. Lawrence's funeral, and Feisal and Nuri Said at the Paris Peace Conference. Clio History is an on-line exhibition that explores how American journalist Lowell Thomas helped create the 'Lawrence of Arabia' legend. ashmolean.org - Visit the Oxford museum and see Lawrence's magnificent Arab robes. kerrywebber.com - A collection of Kerry's photographs with commentary. telawrence.blogspot.com - Reviews, commentaries and analysis of biographies of T.E. Lawrence (1888-1935) by an amateur Lawrence enthusiast. telsociety.org.uk - The T.E. Lawrence Society was formed in 1985 "to advance the education of the public in the life and works of T. E. Lawrence and to promote research (and to publish the results thereof) into his life and works"
William Roberts (5 June 1895 - 20 January 1980) was an English painter and war artist. He was a founder member of the influential Vorticist group, a powerful recorder of the front-line battles of the First World War, and a unique observer of the foibles and activities of Britain at leisure over almost fifty years. In 1922–6 he was commissioned to produce illustrations and decorations for Lawrence's Seven Pillars of Wisdom including this pencil drawing of S.F. Newcombe. This from William Roberts, Five Posthumous Essays and Other Writings (Valencia, 1990). "In 1920 Colin Gill, who had been a fellow-student at the Slade, sent me a note saying 'Colonel Lawrence is seeking artists to make portrait drawings for a book he is producing; get in touch with him.' I wrote to Lawrence and as a result I contributed several portrait drawings to 'Seven Pillars of Wisdom,' besides a painting of Lawrence in his Royal Air Force uniform. He sat for this portrait in a room I was using at Coleherne Terrace, Earl's Court. Sometimes if I was late for our meeting I found him sitting on the dark stairs that led to my temporary studio. He lent me during several Summers his small woodman's cottage at Clouds Hill in Dorset." 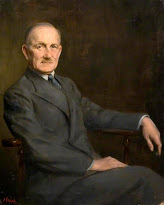 This fabulous oil painting by the artist John Crealock was painted in 1938 when Newcombe was aged sixty and working on proposals for what may be called a bi-nation state in Palestine, with limited and controlled immigration and absorption of Jews according to the physical and economic capacity of the country. Newcombe argued and lobbied this position to whoever in authority would listen. He set up committees to counter-balance the Zionist message, gaining access to high level ministers of state including the Prime Minister. He submitted his evidence to the Palestine Royal Commission, invited guests sympathetic to the cause to the Royal Central Asian Society Dinner Club, of which he was Honorary Secretary, and wrote articles for magazines and periodicals such as The Empire Review under the auspices of the Palestine Information Centre, where he also held the post of Honorary Secretary. AQABA: Lawrence and his colleagues set up quite decent camping arrangements. With a Persian carpet at its hearth entrance this tent was equipped with beds and rudimentary washing facilities. The guy-lines of the tent were secured with pegs and with the additional weight of a sand bag at each corner, evidence that the weather in the desert could whip up quite a strong wind. Lawrence’s tent also possessed a gramophone player which was put outside on a tall table during the regular gatherings with fellow British officers. A box of records kept the men entertained and one or two pets were introduced for added distraction. Major Scott, base commander at Aqaba, holds a terrier name "Robert". Captain Goslett strokes a saluki named "Shorter". 9 July 1878 - Born at Brecon, Wales. 1886 - Newcombe's father, Edward, dies and he is sent to board at Christ's Hospital School with younger brother Harley. 1893 - Attended Felstead School. 1896 - Enters the Royal Military Academy at Woolwich as a Gentleman Cadet. Awarded the Sword of Honoue at the RMA. 1898 - Commissioned into the Royal Engineers at Chatham. 1900 - Joins the 29th Fortress Company at Cape Town, South Africa. 1901 - Joins the Egyptian Army and posted to Sudan. Reconnoitered route for proposed railway east and west of the Nile. Queen Victoria dies on 22 January. 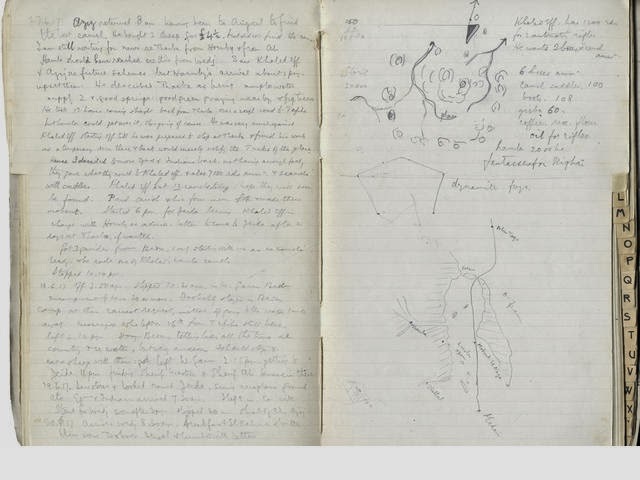 1907 - Journeyed to upper waters of the Nile to recon and discuss with Belgians possible rail route from Lado Enclave to Belgian Congo. 1909 - Sends secret report on Alexandretta and Baghdad Railway to the War Office. 1911 - Preliminary survey of railway from Abyssinia to Khatoum. Leaves Egyptian Army. Short spell in the War Office. 1912 - Longmoor Military Railway Training Camp. 1913 - Begins surveys in area of Beersheba, Palestine. 1914 - Surveys in South West Palestine south to Egyptian border. For six weeks he and his men are accompanied by C.L. Woolley and T.E. Lawrence, two archaeologists from the British Museum. Addresses the 49th Annual Meeting of the Palestine Exploration Fund. 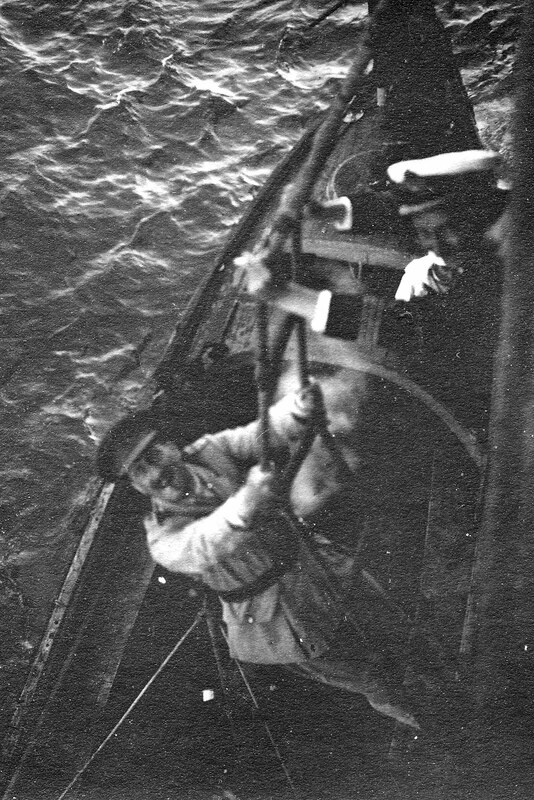 Outbeak of World War 1. August 1914 - At Compiegne during the retreat from Mons. Successfully blows up the bridge. Recalled from France he travels with T.E. Lawrence from Marseilles to Alexandria and then onto Cairo by train. 1915 - Appointed as Commander in the 2nd Australian Division Royal Engineers during the Dardenelles campaign. 1916 - Awarded DSO for rescue attempt in a tunnelling operation. Returns to the Western Front and distinguishes himself during the battle for Pozieres Ridge. Sherif Hussein of Mecca launches the Arab Revolt. 1917 - Joins T.E. Lawrence in the Hejaz as head of the Military Mission. Commences raids against the Hejaz Railway. In late October he takes command of a small mobile force and initiates a raid behind enemy lines during the Third Battle of Gaza. His force is overwhelmed and he and his men are taken into captivity. 1918 - Escaped from prison camp at Brusa with assistance from Elizabeth Chaki. Returns to Constantinople to help broker peace negotiations with the Turks. 11 November 1918 - The Armistice comes into effect. 1919 - Briefly joins Lawrence at the Paris Peace Conference. 15 April 1919 - Marries Elizabeth (Elsie) Chaki in the Registry Office at Henrietta Street, Covent Garden and the following day is blessed in a religious service in St. Margaret's in the grounds of Westminster Abbey. 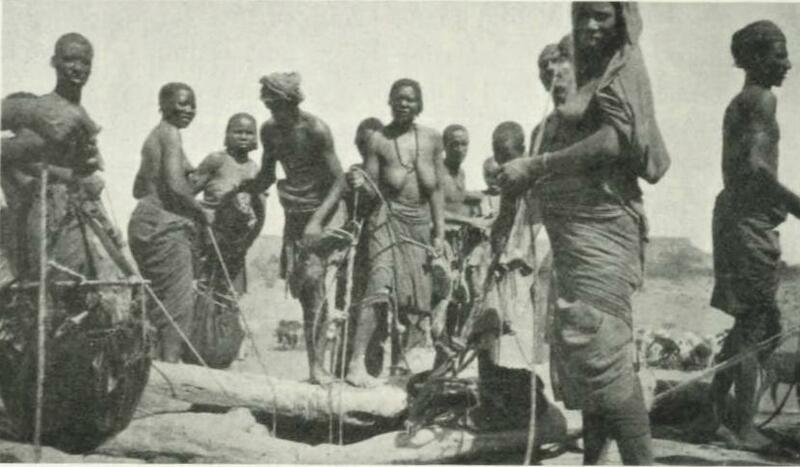 This photo is one of a series taken by Newcombe in the Sudan in 1903. A further discussion on Newcombe as a photographer will be posted shortly. A PRELUDE TO WAR - An article recently published in English and Hebrew in ERETZ Magazine of Israel. A CHRONOLOGY - A comparative chronological timeline of Newcombe's life during the zenith of the British Empire in the late 19th and 20th Centuries and its decline at the time of Newcombe's death in 1956 - Now on-line. SUEZ! - The story behind the creation of the Suez Canal and its significance to the British Empire. S.F. NEWCOMBE'S COPY OF SEVEN PILLARS, IN A HANDSOME ROGER DE COVERLEY & SONS BINDING WITH AN 'ARABIAN' MOTIF. 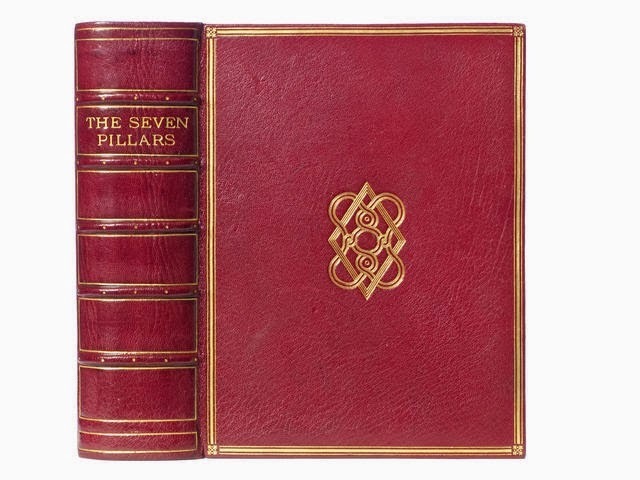 One of 170 complete copies in original dark red full morocco with triple gilt panelled spine in six compartments and sides with triple gilt rule borders enclosing central arabesque motif. Inscribed by T.E. Lawrence "Complete copy. i.xii.26 TES". You can follow this blog and receive regular updates by subscribing. Simply follow the instructions on the SUBSCRIBE TO POSTS icon located at the bottom of this page. You can also add your own comments or information to any article of interest. If you prefer to comment anonymously then choose that option. This is one of a series of Hejaz Postage stamps designed by T. E. Lawrence. Click the photo to go to the fascinating story behind these beautiful designs. This photo shows Newcombe en route to the Hejaz as head of the British Military Mission in support of Sherif Hussein's Revolt. Copyright: Kerry Webber. Theme images by Storman. Powered by Blogger.